I love solid wood floors. I have seen old dilapidated houses bought with a credit card and the floors and paneling salvaged and resold for a tremendous profit. Studies have shown that patients in hospitals will heal faster when they are in a room with a more natural “feel” than a traditional hospital room. Part of this natural feel is wood floors (and paneling too). Wood has an inherent beauty and nostalgic affect, and I think most people appreciate it and enjoy it especially during these complex and busy days we all tend to live. Wood floors can have problems. Typically, if you have a wood floor problem, you have a wood moisture content problem. Each piece of wood is unique and depending on how the piece was sawn will determine if most of the dimensional change is in the thickness or width of the plank. The most frequent problem is buckling of the floor or excessive gaps between the planks. Buckling will occur when the moisture content of the boards is significantly increased after the floor is installed. The boards want to swell but are restrained by adjacent boards and/or mastic and instead will buckle. This can be due to several factors such as a water leak in the house, poor vapor barrier below the house if the house is on stilts, or failure to acclimate the wood to the equilibrium moisture content of the house before installation. In my experience, failure to acclimate the wood is often the culprit. I recall a case years ago in which a homeowner purchased custom wood flooring from a local distributor. 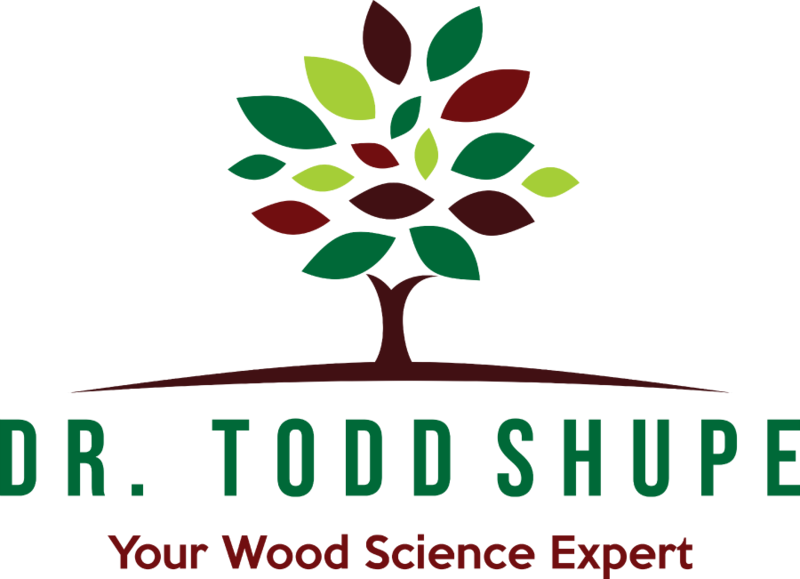 The wood had been kiln dried to 6-8% MC so it was deemed by the installer that acclimation was not necessary. However, the boards had sat in a non-climate controlled shed for years after they were kiln dried. I determined that the moisture content of the boards at the time of installation was probably around 18% and gradually decreased to 8% once in service. This explains why large gaps were appearing between the boards. As a home owner, you may be wondering what can you do to prevent wood flooring problems. I suggest you purchase a moisture meter and randomly check a few of the boards before installation. It will take you seconds but can potentially save you hours of heart ache down the road.